Dave has been an active member of The Rainbow Connection Board of Directors for eight years. He was invited to become involved in supporting The Rainbow Connection by Russ Shelton, who has served as our Board President and is a long time member of our Board of Directors. As our outgoing President, Dave has been instrumental over the last several years in helping The Rainbow Connection grow to meet the increasing need for our services. 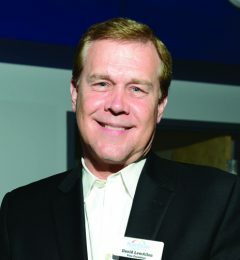 In addition to being actively involved on our Board, Dave is also a member of our Development and Marketing Committees. In fact, he was the inspiration behind our newly launched “Pennies for Wishes” program which highlights how even pennies can make dreams come true! You can click on the video to learn more about this program. 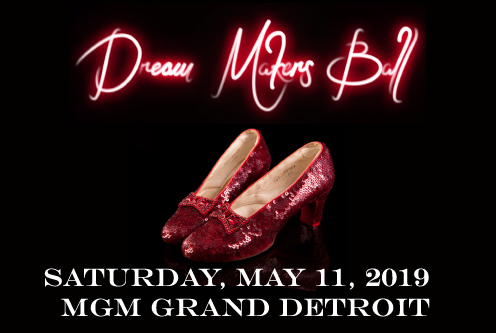 Thank you, Dave, for your leadership and inspiration to continue making dreams come true for Michigan children with life threatening medical conditions! We are grateful for your unwavering dedication and commitment to The Rainbow Connection! 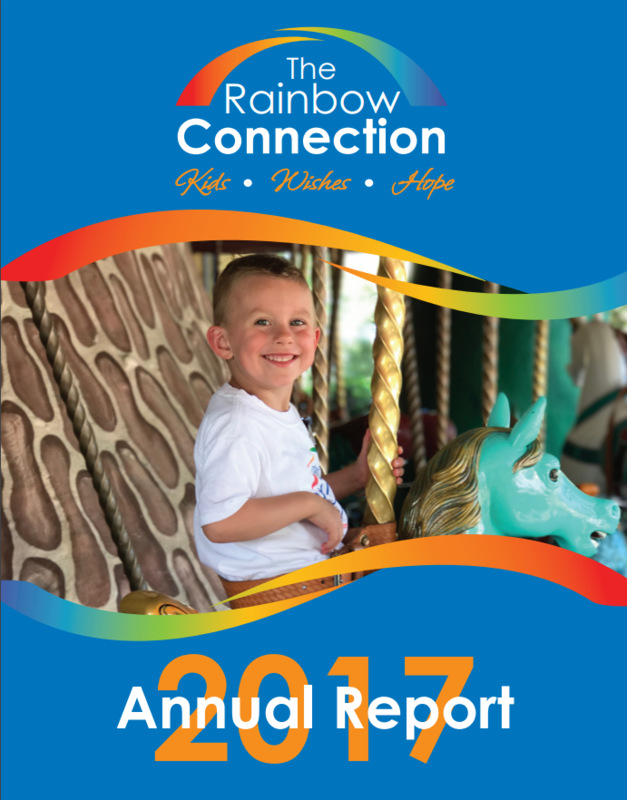 Charity Navigator, the largest independent charity evaluator has named The Rainbow Connection (TRC) as a top-rated charity once again for 2017. TRC’s fiscal management practices and commitment to accountability and transparency have earned it the highest award, a 4-star rating for the sixth consecutive year, an honor only 6% of all charities rated achieve. After Charity Navigator’s review, TRC earned 91.23 points out of 100 overall; 87.61 for financial management and 100 for accountability and transparency. As the non-profit marketplace becomes more competitive, there is an increased demand from donors for greater accountability and quantifiable results from the charities they choose to support. 22 year old Daryl is a student of Oakland University. His goal is to give back just like his community gave to him during his time of need. At age eight, I was diagnosed with a brain tumor the size of a golf ball and was immediately admitted to Children’s Hospital of Michigan. I quickly learned that a family filled with fear is nothing compared to a family filled with hope. In the midst of my diagnosis, I received a wish that would bring happiness to me and my family during our time of need. My wish was to go to Disney World and have fun like everyone else. Thanks to Rainbow Connection my wish became a reality. In 2003, I remember being out of the hospital and only having to go back for chemotherapy once a week. 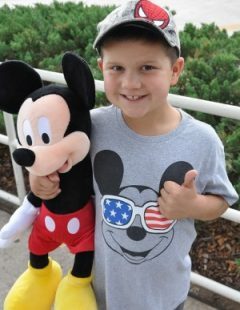 One week was different as instead of going to chemo I was going to Disney! A limousine pulled up in front of my house and picked up my family and I to take us to the airport. Once we arrived there was a driver with a sign that said, “Give Kids the World Village Welcomes Daryl”. 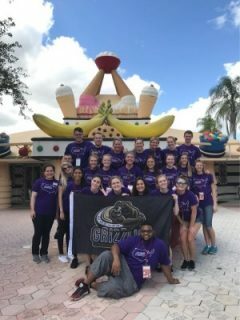 The Rainbow Connection (TRC) has been making dreams come true for Michigan children with life threatening illnesses since 1985. Check out these 9 facts you might not know about TRC and the magic of making a dream come true. 1.) It’s more than a wish. In addition to making dreams come true, TRC provides an umbrella of support services for all families served. People forget that when a child becomes seriously ill, life is suddenly turned upside down for all family members. The Special Response and Enhancement Program provide families with support and fun activities as they continue to experience hardships. 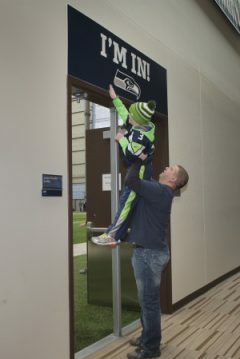 College Scholarships are available for wish kids who go to college too! 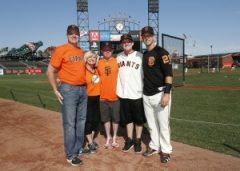 Wish Child Justin reflects on his wish to meet the San Francisco Giants and his journey since his diagnosis. Each summer, my family and I take a trip to a different baseball stadium. So when I was approached by the social worker at my clinic and she said The Rainbow Connection would grant my wish, I immediately thought of the team whose hat is on my head 100% of the time: the San Francisco Giants. Getting to meet the San Francisco Giants was a once in a lifetime experience and a memory that I will never forget. The whole trip was so exciting just to be out in California and see all the sights there. Not only did I get to do and see amazing things around the city such as the Golden Gate bridge, Alcatraz, and a cable car ride, but I got to see two different ballparks when we went to an Oakland A’s game in addition to a Giants game. The Giants organization gave me a tour of the stadium, let me stand on the field for batting practice, and gave me an opportunity to meet and spend time with four Giants players which was the best part of the whole trip! It was a very pleasant surprise that all the players mentioned they were expecting me and held conversations with my family and I before the game.